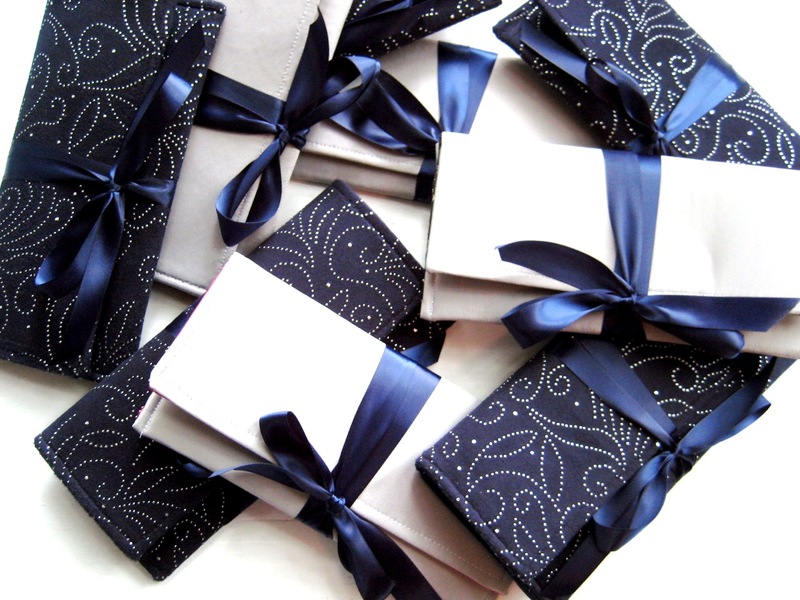 Something old, something new, something borrowed and something… “navy blue”? Something old, something new, something borrowed and something… “navy blue”? We think so! 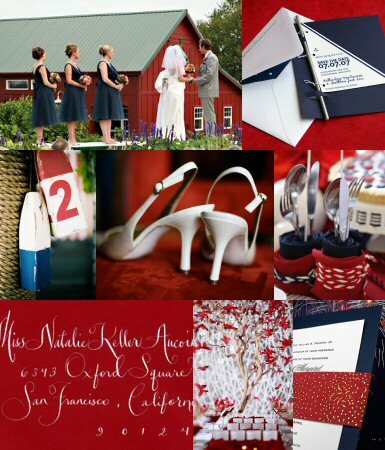 Summer is here, and as our brides look for inspiration, we thought we’d revisit the colors that are so indicative of our nation and of summertime: navy blue and red. 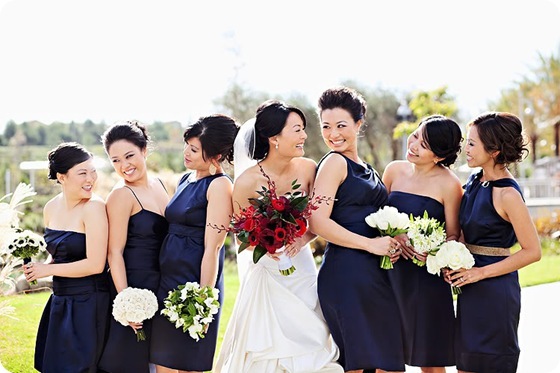 Navy is a very popular color in 2011 and is perfect for a summer wedding. Along with a deep red, the bold colors stand out on a bright, mid-summer day, and the options for invitations, table settings, flower arrangements, décor and accessories abound. We think simplicity works best with such bold colors: deep navy tablecloths with red runners, minimalist topiaries, clean lines, and simple, stunning flower arrangements. Whether it be with bouquets, table settings or bridesmaid dresses, white really pops against deep navy and adds to the clean, crisp feel of a wedding. We love how beautifully these white bridesmaid bouquets stand against their dresses: simplicity and beauty at their best! The possibilities are endless for lively red and blue cocktails. Deep red cranberries, raspberries, strawberries or bright blueberries are perfect garnishes for any drink: we even love the look of them bobbing up and down in a champagne flute. Or, add a splash of cranberry juice to sparkling wine for a fun, fruity and colorful cocktail. 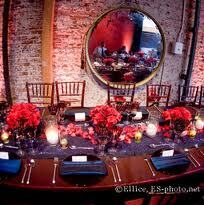 Of course, with a red and navy themed wedding, we can help but to throw in a little 4th of July inspired décor! 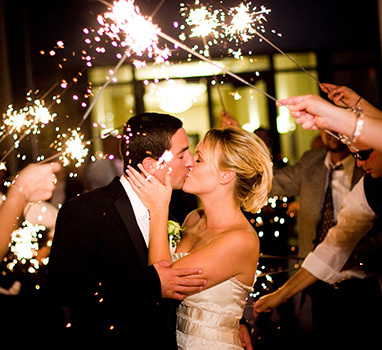 Sparklers are such a fabulous way for guests to send off the newlyweds after a night of dancing and fun. And a million thanks to Michelle from My Personal Artist, who was kind enough to share these classy, beautiful firework-inspired invitations with us. Gorgeous! It is hard to believe that spring has passed and summer is here. We are busy at work prepping our brides for their upcoming nuptials and can’t wait to show our readers some of the weddings we have been working on! 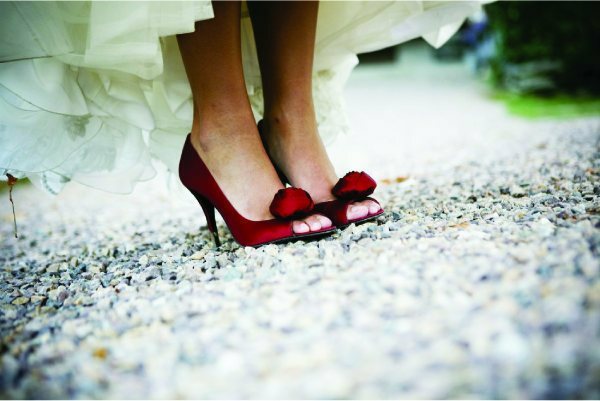 Until then, good luck to our brides as they put the finishing touches on their warm weather weddings, and congrats to any recently engaged couples who just happened upon our site: we hope you choose La Vita Bella Events to make sure that your big day is as smooth, elegant and perfect as you want it to be! Beautiful!! My colours are Black white and navy with a hint of coral! I was wondering if anyone knows where those beautiful bridesmaid dresses with the different neck lines were made and how I can get in contact? !